Use Talimena State Park as the base for your hiking, biking or ATV adventure in the beautiful Ouachita National Forest. 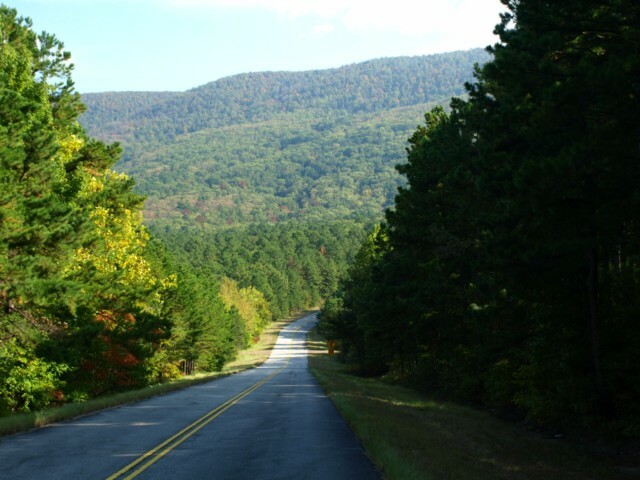 Talimena State Park marks the Oklahoma entrance to the Talimena Scenic Drive - 54 miles of winding road through the Ouachita Mountains, and known for spectacular spring and fall foliage. Hiking and backpacking trails offers a wide range of scenic, wooded terrain. Dirt bikes and ATV's are permitted in the park as an entrance point to the National Forest Lands. Talimena State Park offers facilities for picnics and camping, including tables, a group shelter, RV hookups with electric/water, tent campsites, playground, hiking trails, and comfort station with showers. I have had several calls saying that Google says the park is closed. We have been the camphosts/on site managers for nearly 5 years and the park has never closed during that time. This is a nice little park with awesome camp hosts. I have stayed here a few time as a base camp to explore the surrounding area and its the start of the Ouachita Trail. Harold & Mary are excellent camp hosts. They were very helpful and knowledgeable about the area, The campsites and bathrooms are very nice and clean, This is one of the best parks we have stayed. Firewood at every site hot water and heated bathrooms were a very pleasant surprise. This was our first visit and we will be back to stay again. Thank you for making us feel so welcome. 7 miles N on Hwy 271.